Wireless 360 PCB, Sanwa JLF with octo gate and all custom buttons. 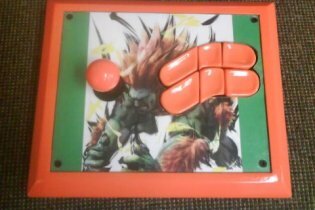 The custom buttons took a long time and it took a lot of problem solving, ingenuity, and hair loss to finish them. Although happily, now they work perfect. WTF damn cool thing! I belive in you that the buttons aren't easy to do! !